Medicine and Technology: Will Roche have the first PPAR agonist? Will Roche have the first PPAR agonist? 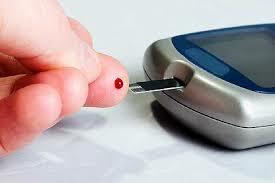 The Wall Street Journal (WSJ): "Roche Diabetes Drug in Late-Stage Test"
Will Roche be the first with a dual PPAR agonists? Thiazolidinediones (TZDs) like Avandia (rosiglitazone) and Actos (pioglitazone) bind to peroxisome proliferator-activated receptors (PPARs). Several new thiazolidinediones are being investigated as "dual PPAR agonists." One such compound is aleglitazar (made by Roche). My gut tells me that they won't be marketed as TZDs. "Dual PPAR Agonist" sounds better, doesn't it? A few years ago, AstraZeneca stopped R&D on a similar drug, Galida (tesaglitazar), while Bristol-Myers Squibb (BMS) stopped work on a drug called Pargluva (muraglitazar). TZDs just haven't had much luck, have they? Remember Rezulin (troglitazone)? It was the first TZD and it got pulled from the market because of liver problems.